With a brilliant scarlet base, 40 beautiful stained-glass effect tissue paper inserts, and a white screen-printed detail, Firework Scarlet Deluxe is a larger-sized 5-tipped red paper lantern that explodes with dramatic sparkle, zest and colour. This scarlet hanging ceiling shade is packed full of detail and lacks none of the intricacies of the smaller designs - whirling catherine wheels of violet, pink, blue and white light fizz against a rich scarlet background, while over 1000 tiny perforations create an alluring twinkle and cast atmospheric patterns of light around the room. 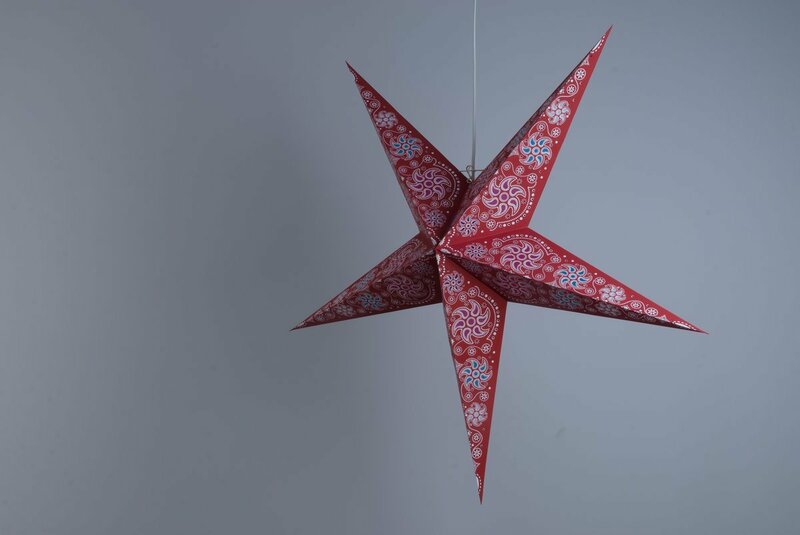 This hand-made and hand-printed large red paper star lampshade is richly decorative and is at home anywhere that welcomes a bold stylish play of colour. 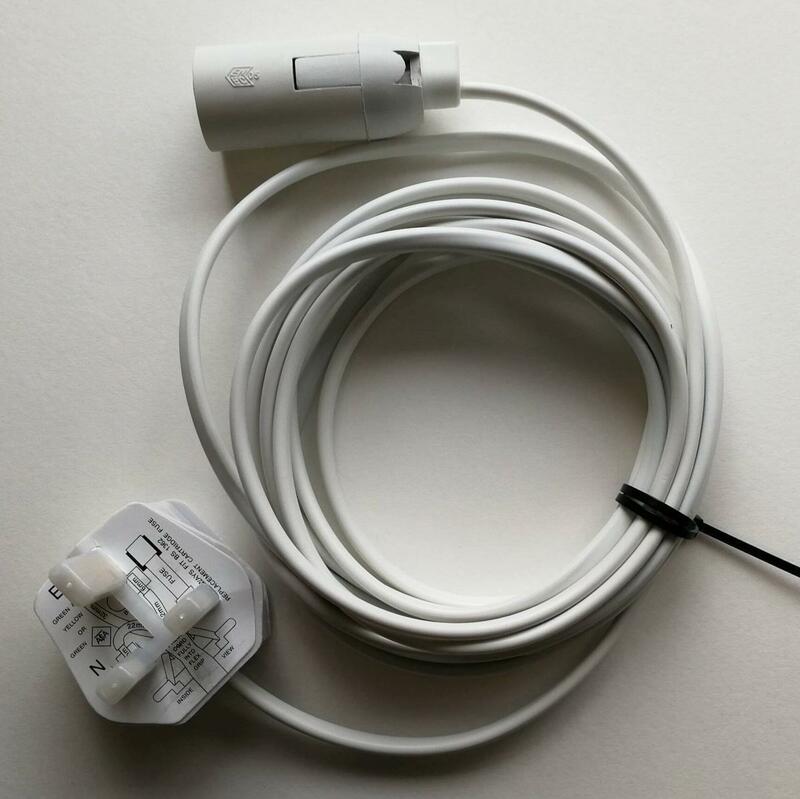 Its larger size makes it perfect for large spaces, shop window displays and rooms with higher ceilings. 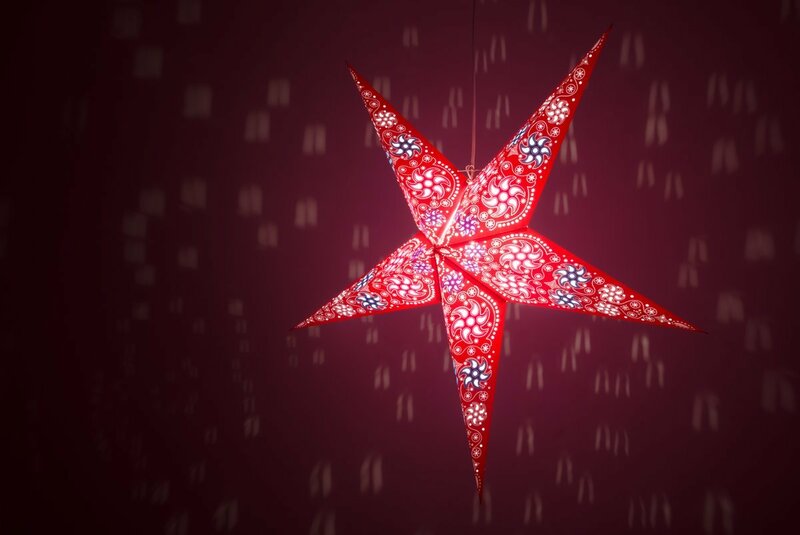 Hang this large red starlight in a window for a beautiful display at Christmas or Halloween and pair up with the smaller sized Firework designs for a truly spectacular party piece or shop window display! 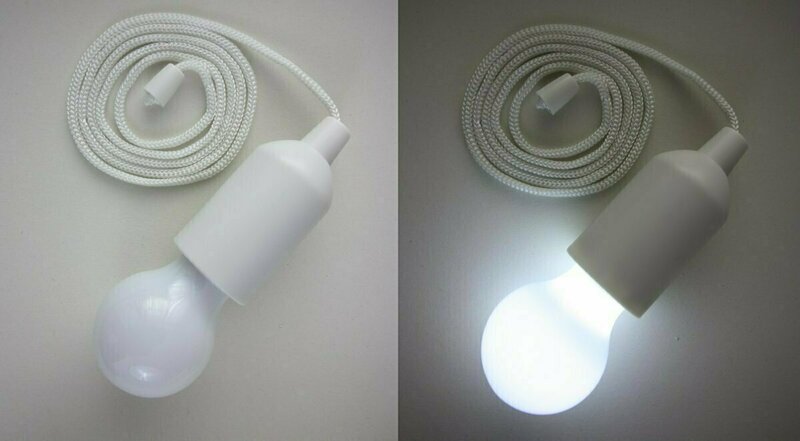 Swap an electric light bulb for a hanging LED light if there is no power source.